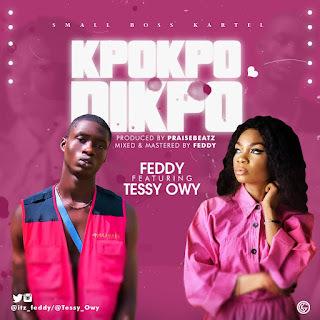 FPN Biggest Mix Engineer Feddy just drop a Hot banging Hit 'Kpokpodikpo' This is a must to be listen to the beat is Awesome the rhymes and Vocals are just superb as he featured the finest female vocalist in FPN "Tessy Owy" Aka "Commando Mama". Kpokpodikpo was produced by Praise Beat and Mixed by Feddy himself. He just batched an Award at the Face of FPN as the Best mix Engineer...Congrats to him..